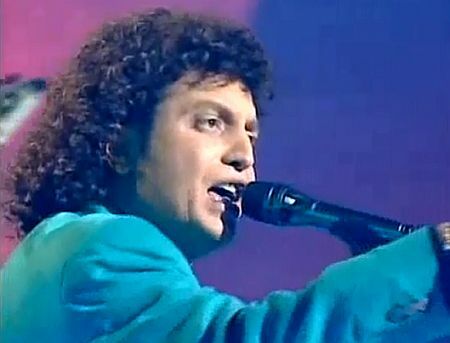 Although strictly a classical conductor by profession, Joseph Sammut led the orchestra in many Maltese Eurovision pre-selections. He conducted the orchestra in only one Eurovision Song Contest final, however: in 1993, he accompanied the winner of the Malta Song Festival, William Mangion, to the festival held in Ireland. 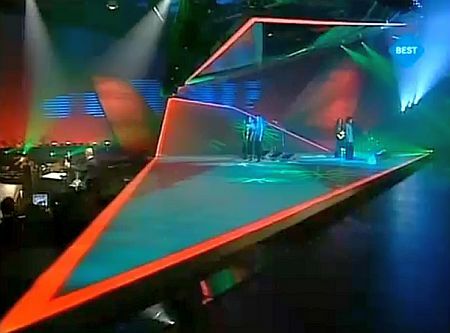 Mangion’s song ‘This time’ placed eighth amongst twenty-five competitors. 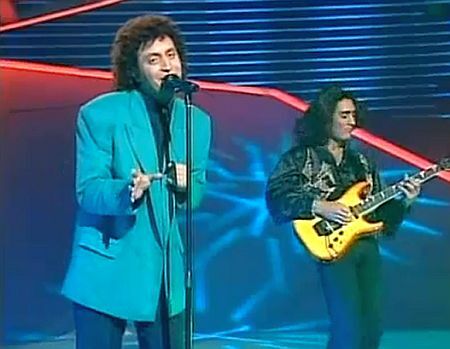 Joseph Sammut comes from a musical family. His grandfather was an able double-bass player and his father Vincent worked as a bassoonist at the Royal Opera House of Malta, while also being a cellist with the Orchestra of the Commander in Chief of the Royal Navy, a professional classical orchestra attached to the British admiralty in Malta. When Joseph was six years old, he received his initial musical training from his father. Some years later, he started studying the bassoon. In 1944, when he was only eighteen, Joseph Sammut joined the Commander in Chief Orchestra, becoming its first bassoon player. Nine years later, when the orchestra was in need of a new conductor, Sammut was chosen for the job. The British Council offered him a conducting scholarship in London where he received private tuition from notable professors Clarence Raybould (1952) and Malcolm Sargent (1953); the latter was the conductor of the BBC Symphony Orchestra at that time. 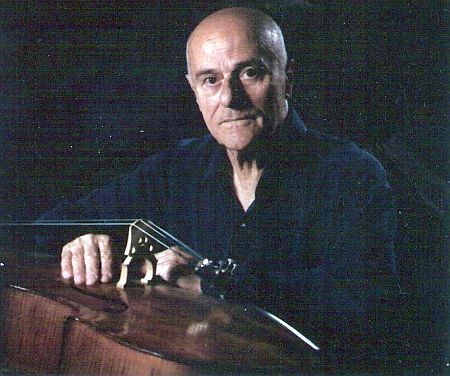 In 1954, Sammut finished his studies at the Guildhall School of Music, taking courses in harmony and instrumentation. 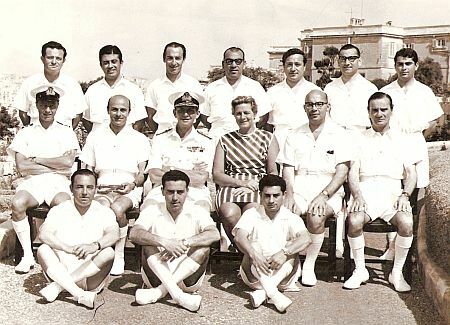 Upon returning to Malta in ’54, Sammut assumed his duties as a bandmaster with the Commander in Chief Orchestra; moreover, he became the conductor of the British Council Orchestra as well. The latter ensemble performed monthly concerts playing a wide repertoire of classical work. In 1956, Sammut returned to the UK for another year on the occasion of a new scholarship, being attached to the Welsh Youth Orchestra as the assistant conductor to his former teacher Clarence Raybould. Around the same time, Sammut formed the Chorus Melitensis, which, in the space of a few years, became Malta’s foremost classical choir. With Sammut as its conductor, the ensemble, apart from being quite busy on the local scene, participated in the ‘Guido D’Arezzo’ International Choir Festival (in Italy) as well as in the Llangollen International Musical Eisteddfod (Wales). In 1967, Sammut had the opportunity to share an orchestral concert at the Manoel Theatre with famous British maestro Arthur Bliss (1891-1975). During this performance, Sammut conducted Beethoven’s Piano Concerto no. 4 with Denis Matthews on the piano. “When the Commander in Chief Orchestra was disbanded, I was left with only about twenty musicians. Many others left Malta, emigrating to Canada and Australia. As a consequence, I was forced to replace most of them by part-timers. Having thus formed the Manoel Theatre Orchestra, in the beginning, I had to do everything myself – including the dirty work. After all, there was no committee behind me yet to help me with the organisational part of the job. To keep the ball rolling, I even put on the music stands and the chairs for the musicians before a rehearsal or a concert myself. I was a very busy man in those years!”. Sammut was in charge of the Manoel Theatre Orchestra (nowadays known as the Malta Philharmonic) for twenty-five years. During his years as a principal conductor, he built up an extensive repertoire for the orchestra, including local Maltese compositions as well as many international works that had never been performed in Malta before, such as Verdi’s Requiem and most of the oeuvre of Brahms and Beethoven. Moreover, he conducted his orchestra in countless operas. Among the various concerts Sammut and the Manoel Theatre Orchestra gave, the gala performances in the presence of Queen Elizabeth II (1967) and Italian president Giovanni Leone (1975) deserve special mention. 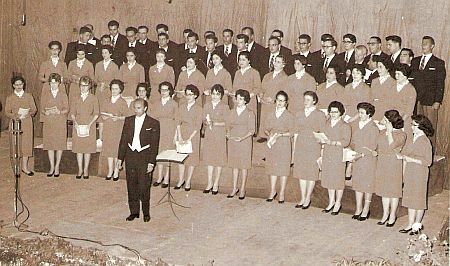 Between 1958 and 1991, Joseph Sammut was the conductor of the Leone Band Club, a semi-professional philharmonic band based in Gozo, the second-largest island of the Malta archipelago. Sammut played an important role in cultural life in Gozo, taking the initiative to build the Aurora Theatre in Victoria (1976). Upon its completion in ’77, Sammut brought in the Manoel Theatre Orchestra along with a group of Italian singers to perform the first-ever opera staged on the island, ‘Madame Butterfly’. Henceforward, the orchestra returned to Gozo annually for one operatic performance. 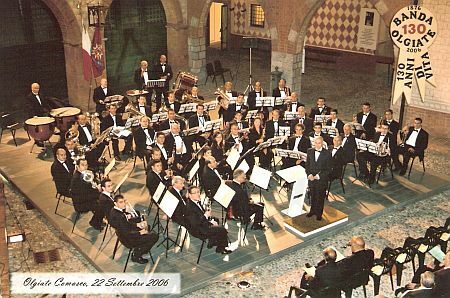 Apart from leading the Leone Band, Sammut was in charge of another semipro band, the La Valette Philharmonic, for an impressive thirty-seven years (1970-2007). For both philharmonic bands, he wrote countless arrangements. 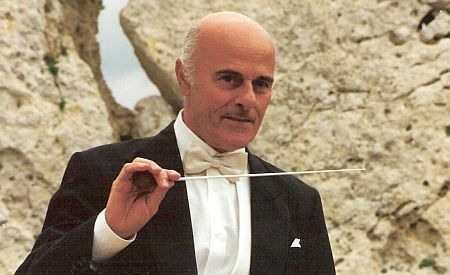 During his career, Sammut had the opportunity to perform as a guest conductor in both Malta and abroad on multiple occasions. In 1963, he conducted the Maltese Rediffusion Orchestra which was set up to give a series of programmes broadcast over the local relay system. In 1970, he was invited to conduct the Kyoto Symphony Orchestra on the occasion of the World Expo in Japan. Still in the early 1970s, Sammut attended the Composers’ Festival in Moscow; in England, he recorded the ‘Malta Suite’ and ‘The Maltese Dances’ by composer Charles Camilleri with the London Symphony Orchestra. Sammut regularly conducted symphonic bands across Malta, composing marches on the occasion of local religious festivals, ‘Festas’. 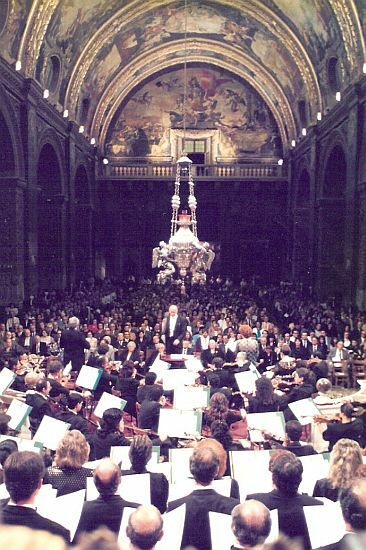 In 1993, Joseph Sammut retired from his post of chief conductor of the Manoel Theatre Orchestra, however continuing to work as a guest conductor. Now being a freelancer, he finally had the opportunity to devote more time to composing serious works. Sammut had composed his first classical piece only in 1980, a Requiem for ex Maltese Prime Minister Giorgio Borg Olivier. It was not until 1993 that it was first performed in public, in St. John’s Cathedral in Valletta. This concert was attended by Bernd Glathe from a German association called Music in Management, which aims to promote new classical pieces. Glathe commissioned Sammut to perform the Requiem in Constance as a conductor with the Südwestdeutsche Philharmonie Konstanz in 1995. A live recording of this concert was released on CD. One year later, the aforementioned orchestra came over to Malta for the premiere of another new work by Sammut, ‘The Sound of Teamwork’, again conducted by the composer himself. Meanwhile, Sammut has composed an oeuvre comprising over one-hundred original classical works, ranging from symphonies and piano concertos to eight oratorios as well as several other choral pieces. After his successful debut in Germany, Sammut regularly returned to the continent to perform his work with local orchestras. In ’97, he conducted his oratorio ‘Saint Gerold’s Way’ with the Südwestdeutsche Philharmonie, the apt location of the performance being Sankt Gerold in Vorarlberg, Austria. Two years later, Sammut directed the Hansestadt Philharmonic Orchestra and the Junger Brahms Chor in an all-Maltese-works concert in Bremen. In 2010, he came to Hamburg to lead the Harvestehuder Sinfonieorkester for another piece commissioned by Music in Management, ‘Diversity’. That same year, his oratorio ‘Canticles of Saint-Luke’ was first performed at Valletta’s Saint John’s Cathedral. For this work, which was released as a studio recording as well, Sammut was awarded with a special prize bestowed upon him by a panel of international judges. Joseph Sammut received several other national honours for his role in promoting classical music in Malta and abroad. In 1972, he was made Knight of Grace of the Sovereign Order of Saint-John of Jerusalem. Moreover, Malta’s president Agatha Barbara personally handed him the Phoenicia Award for his contribution to music. In 2002, he was awarded the Medal for Distinguished Service rendered to the Republic of Malta. 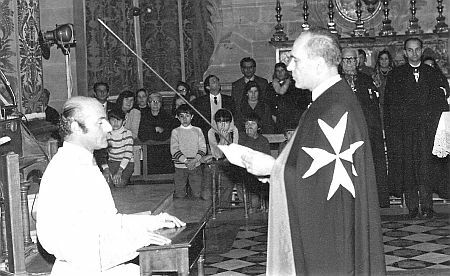 For several years, Sammut was the President of the Malta Choral Society. He is presently honorary member of the Music in Management Association in Hamburg. Bas Tukker interviewed Joseph Sammut, January 2011. Many thanks to Joseph and his son Tony for providing us with a CV, as well as with a set of suitable pictures. All pictures courtesy of Joseph & Tony Sammut. Thanks to William Mangion for sharing his memories of working with maestro Sammut with us. More information about William Mangion can be found on his website, www.williammangion.com.